Made as a portfolio piece using Blender. This image was created over many weeks of weekend work that took all night, as my job is a night shift job. This render was made to support my Abator Arrow design. The first hangar was ugly and had to be remade completely. 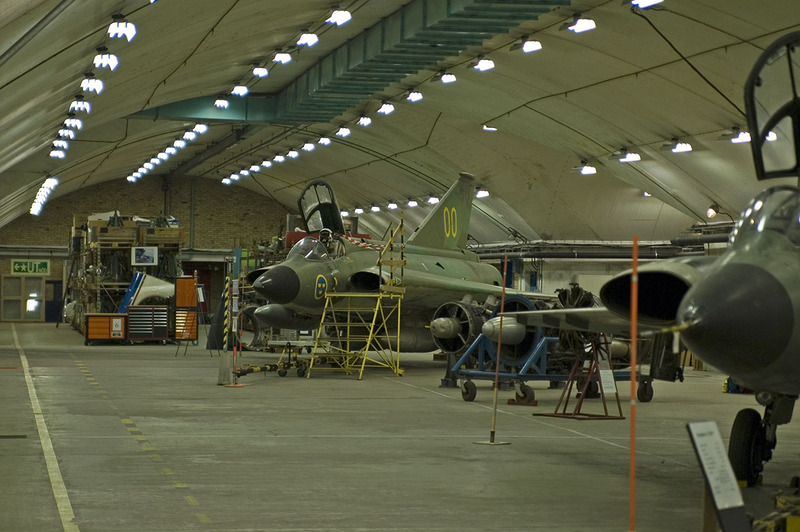 The interior of the hangar is challenging and requires many imported assets. The use of Filmic Blender allows the scene to be lit properly using only visible light sources. This large Canadian delta-winged interceptor first flew in 1958. It was meant to protect the Arctic regions from high-altitude bombers during the Cold War with Russia. Unless otherwise mentioned, this webpage and its content is licensed under the Attribution 4.0 International license. You may quote and copy this material if you give correct credit to the author and do not distort or otherwise change the original meaning of his words. Copying any material on this website without giving correct credit to the author is both plagiarism and copyright infringment, and will be treated as such. Denis G. Labrecque published this document on July 29, 2017. Proudly hosted on GitHub using Jekyll markdown.